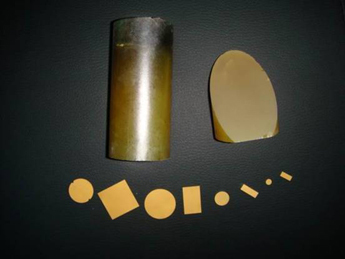 Omega Piezo Technologies produces PMT-PT piezoelectric single crystal components in a range of shapes and sizes. Single crystals can exhibit much higher performance than piezoceramic materials including an order of magnitude higher strain levels. The properties of these crystals are shown in the following table. These components are grown in a raw crystal form and then machined to exacting tolerances. 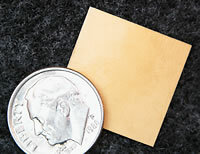 They are typically metallized with sputtered chrome/gold.